Travel remained dangerous Saturday in southeastern North Carolina, where the governor warned of "treacherous" floodwaters more than a week after Hurricane Florence made landfall, and urged residents to stay alert for flood warnings and evacuation orders. Gov. Roy Cooper said nine of the state's river gauges are at major flood stage and four others are at moderate stage, while parts of Interstates 95 and 40 will remain underwater for another week or more. Emergency management officials said residents whose homes were damaged or destroyed will begin moving into hotel rooms next week. "Hurricane Florence has deeply wounded our state, wounds that will not fade soon as the flood waters finally recede," Cooper said. 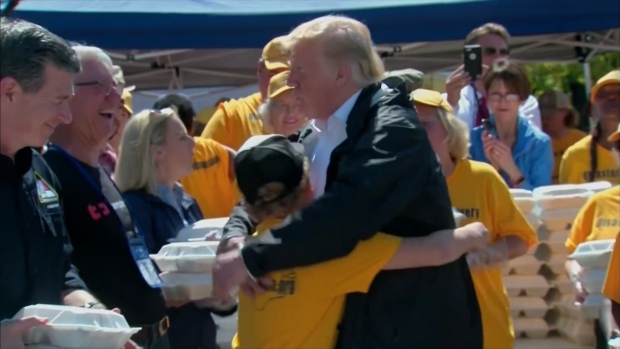 South Carolina also has ordered more evacuations as rivers continue to rise in the aftermath of a storm that has claimed at least 43 lives since slamming into the coast more than a week ago. The small farming community of Nichols, South Carolina, about 40 miles (65 kilometers) from the coast, was completely inundated by water, Mayor Lawson Batter said Saturday. He called the situation "worse than Matthew," the 2016 hurricane that destroyed almost 90 percent of the town's 261 homes. Battle said flooding from Florence has wiped out the 150 or so homes rebuilt afterward. "It's just a mess," said Battle, who was awaiting a visit from Gov. Henry McMaster. "We will try everything we can to come back ... but we need to have federal and state help." 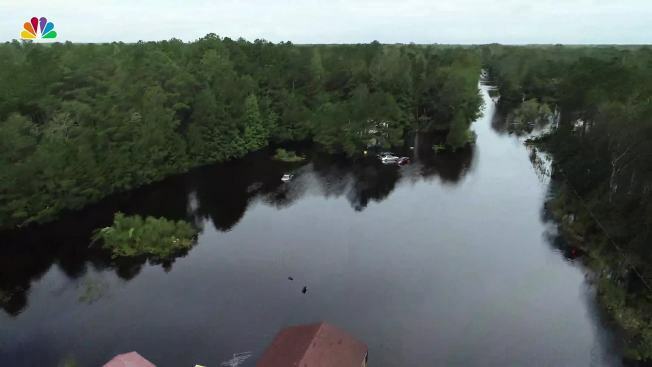 Benetta White and David Lloyd were among 100 people rescued with helicopters, boats and high-wheeled military vehicles during a six-hour operation in southeastern North Carolina's Bladen County that lasted into Friday morning — their second evacuation in a week. 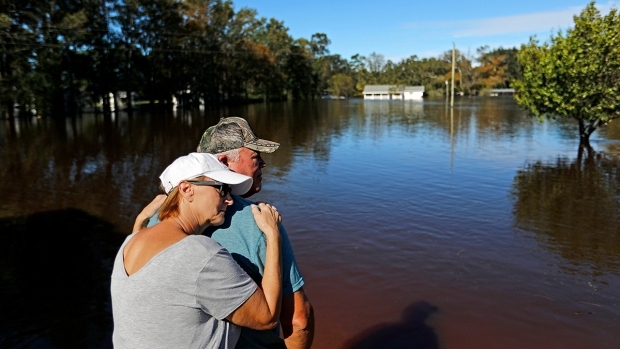 White and Lloyd, who live in the North Carolina town of Kelly, were given little time Thursday night to evacuate when the Cape Fear River came rushing onto their property. By the time they loaded their van, they had to slog through waist-high, foul-smelling water to get to a neighbor's pickup. From there, they went to the town's fire department and were taken by an Army truck to a shelter at a Bladen County high school. "We had to evacuate again, all over again, and got trapped in a bunch of water and almost lost our lives," said White. In Wilmington, where Hurricane Florence made landfall and which had been cut off by floodwaters, officials said they'd identified three safe routes into town. They encouraged people to avoid travel in areas where the risk of flooding remains. North Carolina Emergency Management Director Michael Sprayberry said Saturday that eastern counties continue to see major flooding, including areas along the Black, Lumber, Neuse and Cape Fear rivers. The Cape Fear river is expected to crest Sunday and remain at flood stage through early next week. He said residents who register with the Federal Emergency Management Agency can begin moving into hotels Monday. The program initially will be open to residents in nine counties, then will be expanded. A FEMA coordinator said about 69,000 people from North Carolina already have registered for assistance. North Carolina environmental officials said they're closely monitoring two sites where Florence's floodwaters have inundated coal ash sites . The state is using drones to get photos and video of a dam breach at the L.V. 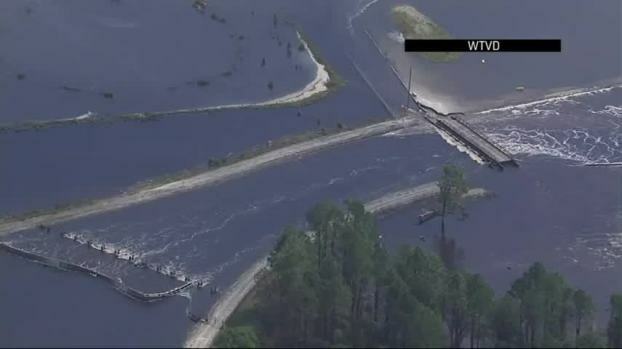 Sutton Power Station in Wilmington, where gray muck has been seen flowing into the Cape Fear River, and at the H.F. Lee Power Plant near Goldsboro, said Michael Regan, secretary of the North Carolina Department of Environmental Quality. He said Saturday that the video and photos show sand and "potential coal ash" leaving the Sutton site, and the DEQ will put people on the ground when it is safe. He said that DEQ staff has seen that coal ash left the basin and entered flood waters at the H.F. Lee plant, and is trying to determine "how much of that, if any" has entered into the Neuse River. In Conway, South Carolina, water from the Waccamaw river began flowing into a Santee Cooper ash pond. The company said in a statement that the overtopping occurred Saturday morning, but no significant environmental impact was expected because nearly all of the ash had been excavated from the pond. The National Weather Service confirmed Saturday that 10 tornadoes spawned by Hurricane Florence touched down Monday in Virginia, the strongest of which leveled a flooring company in Chesterfied and killed one worker. Moody's Analytics estimates Florence has caused $40 billion in damage and $4 billion in lost economic output, though the company stressed that the estimate is preliminary and could go higher or lower. Also contributing to this report were Associated Press writers Jeffrey Collins, Dee-Ann Durbin, Chevel Johnson, Meg Kinnard, Denise Lavoie, Jay Reeves, Michael Biesecker and Tammy Webber.